Congratulations on completing the Hot Air Ballooning Reader’s Quiz!!! You are now entered into the prize draw! Good luck! 1. What is the shape of Eumundi’s hot air balloon? 2. Who bought the balloon trip for Julia? 3. How many sandbags were on the balloon in total? 4. What is the farmer’s name? 5. What type of nut is Hammy holding when he meets Eumundi and Julia? 6. What sort of cheese does Eumundi give to Julia? 7. Where will the friends be going for their next adventure? 8. 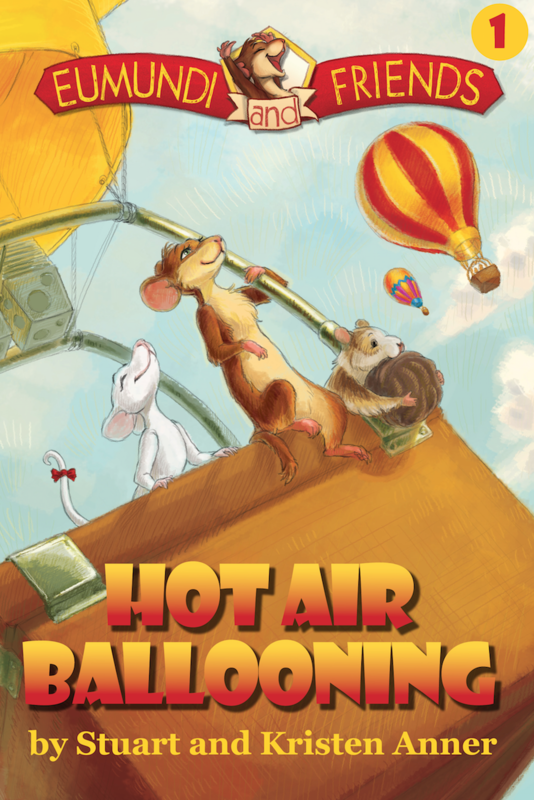 What does Hammy do when he finds out they have to let out some hot air to go down? 9. What food does Hammy bring to celebrate the safe landing? 10. What car does Eumundi drive to the balloon field? – Maybe they introduced themselves and told each other a little bit about themselves, their favourite things, and so on, since they just met, and they are getting to know each other. – How did Hammy end up in the picnic basket?! – They might have discussed how they were going to land the balloon safely! 12. What are some ways you can choose to see your life as an ‘adventurous journey’? – Jump out of bed in the morning and shout, “WooHoo!” just like Eumundi! This will give you a great start to your day, and fill you with all sorts of energy to have an amazing day! – Problems can be viewed as opportunities to have an adventure and learn something new! – Keeping a great attitude always helps you see another perspective in any situation. 13. How can you make the most of opportunities that come your way? – Be prepared with a ‘can do’ attitude! – Even when you don’t have everything in place, getting started can open the way for you to do what you have in mind – you will figure out the rest as you go – just like the friends did in the balloon! Did you leave a review for Hot Air Ballooning yet? Please click here to leave your comments – we would LOVE to hear how you enjoyed the story, and it will help others find these wonderful books! Thanks for taking our Hot Air Ballooning Quiz!! We hope you had fun and learned something new!